Add a contemporary style to your home by introducing this beautiful Set Of Bird On Leaf Bookends. 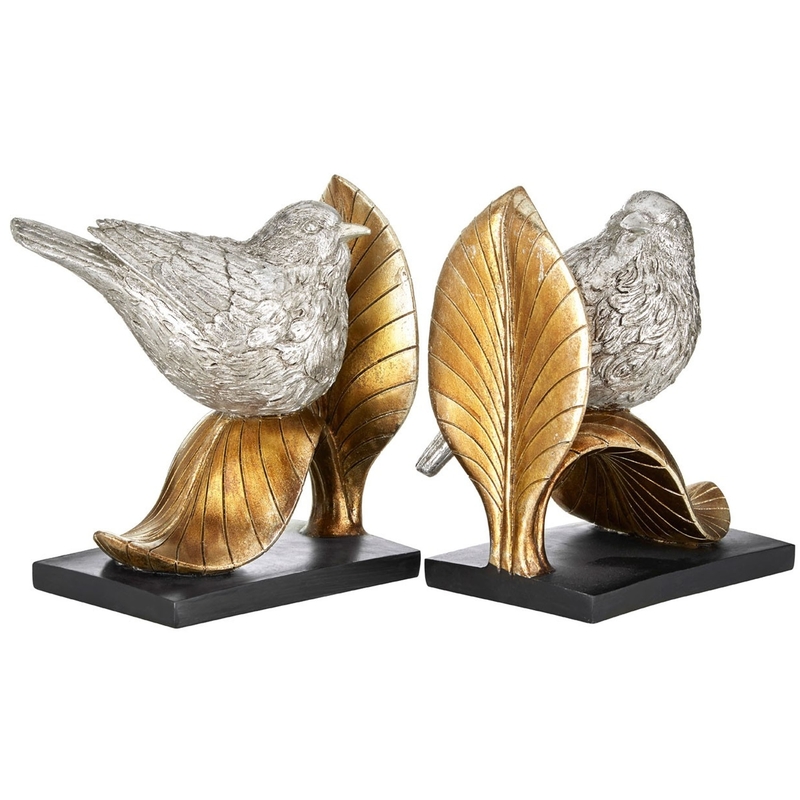 These bookends have a gorgeous design that take a stunning leaf design and gives it a detailed bird on top. The contrast of the silver bird and golden leaf creates a very interesting and exotic style, overall combining into a very charming look that'd be a fantastic addition to a living room.